The food at Cabrito seems simple but it is very thoughtful and delicious. After posting a picture of the Jamon Iberico Bellota from my first visit with Dennis the Foodie, my sister (the Planner) asked if we could come for dinner when she returned home for a visit. I could not resist the idea of a second round of Jamon Iberico Bellota. 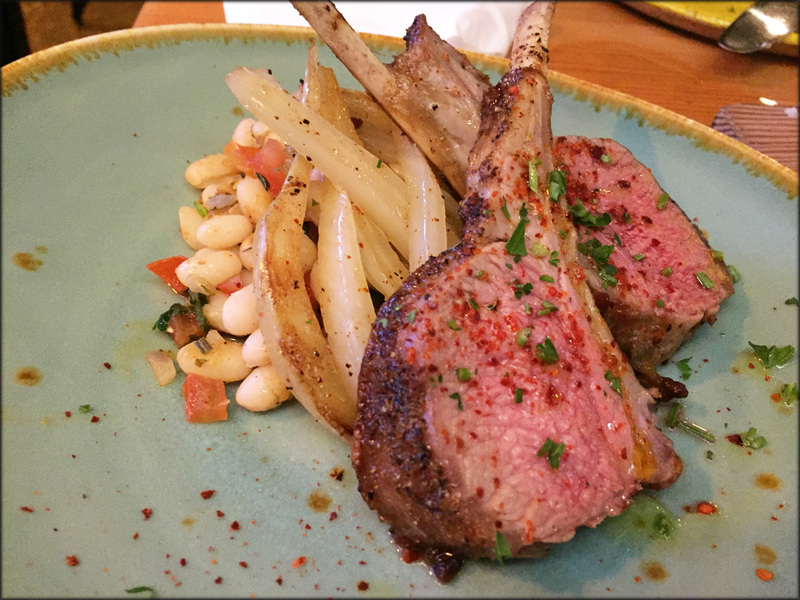 If you want to read about my initial visit to Cabrito, check out Dennis’ post here. I totally agree with his assessment. I’ll answer the questions Dennis posed in his post with this review of my second dinner at this Commercial Drive eatery. When it comes to the mojitos at Cabrito, get the alcoholic ones. My first virgin seasonal blackberry version I had when dining with Dennis was unharmonious. It was like juice with random hits of mint. 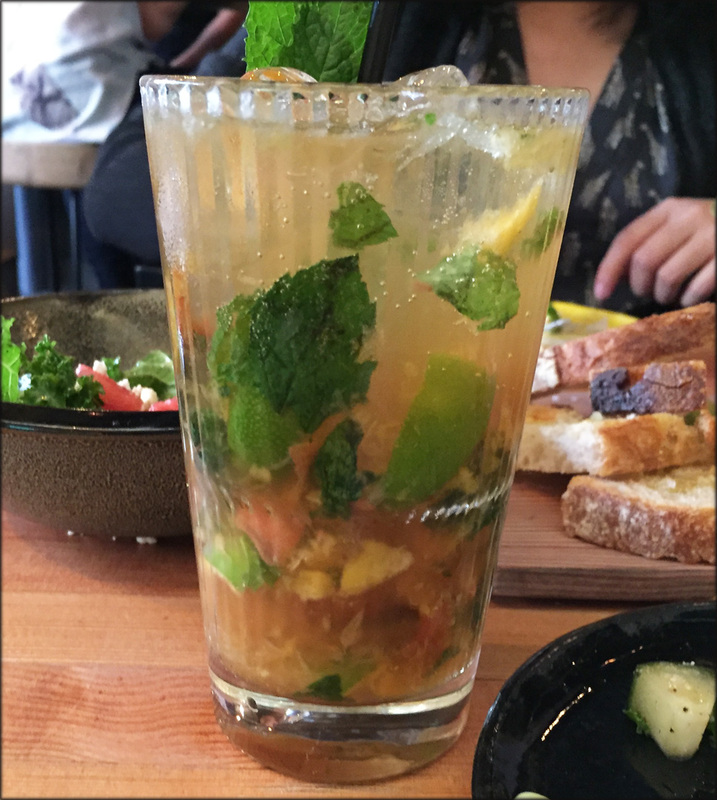 In contrast, my seasonal peach mojito benefited from the rum binding the flavours of the fruit and mint together. In my world, the best European cured hams come from Spain and then Italy. I still like prosciutto but I find a lot of them are overwhelmingly one note – mainly too salty. 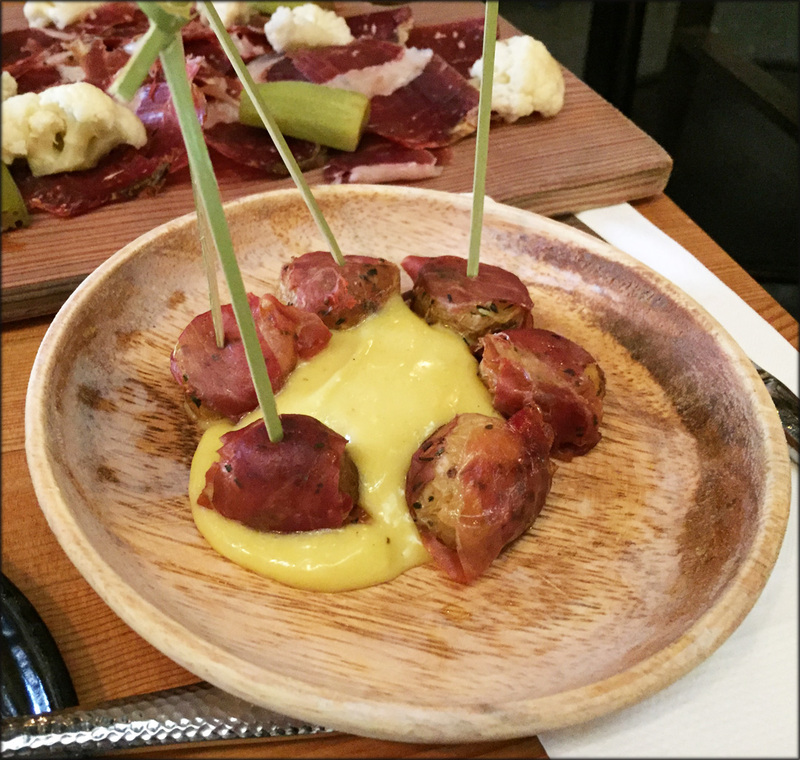 In contrast, Spanish ham like Serrano and Jamon Iberico Bellota is more complex and balanced. 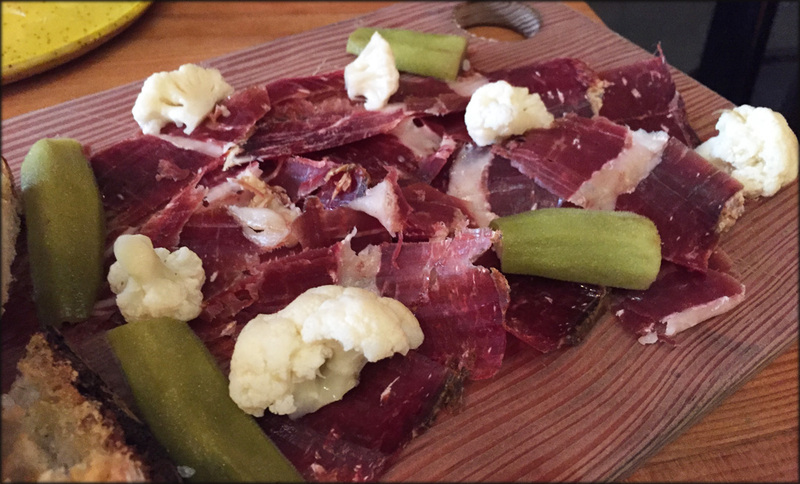 With the hand cut Jamon Iberico Bellota at Cabrito, I could taste sweet, umami, fat, salty and that distinct cured funkiness in each slice. No one flavour dominated. As a result it was a more satisfying experience to try to taste all the different notes in the ham. The sour pickled cauliflower and okra placed on the board were great palate cleansers. Since this was a second visit, I was able to order some favourites from last time, and try new dishes. 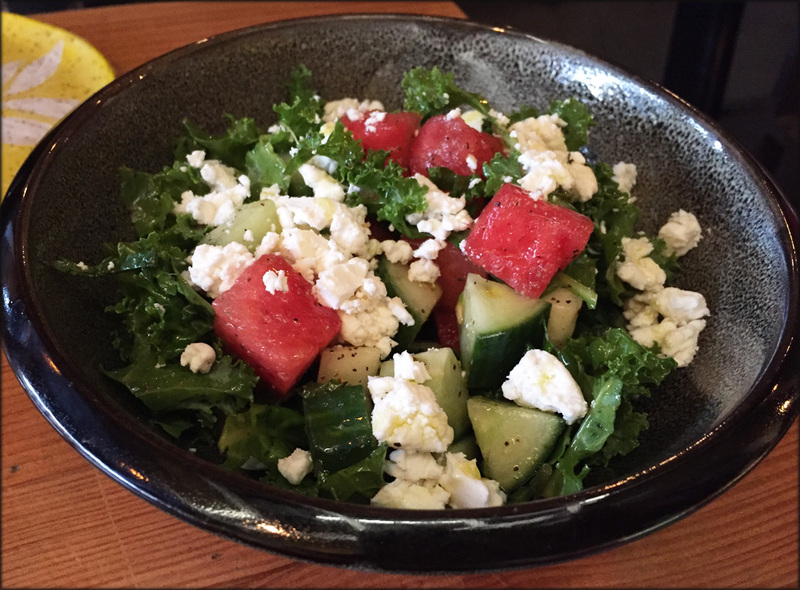 A repeat order was the simple but fantastic Watermelon salad. The sweet watermelon goes so well with the salty and slightly creamy feta cheese. This is a fantastic flavour combination, which was further enhanced by the nutty spicy black pepper. I like this salad so much, I can even over look the kale in it. The potatoes wrap with Serrano ham was another winner from the first dinner I needed to have again. The aioli is what makes this dish amazing. The creamy and tangy sauce was delicious. Even if you have finished the potatoes, keep the aioli. It went well with other things we ordered like that bread that came with our Jamon Iberico Bellota. 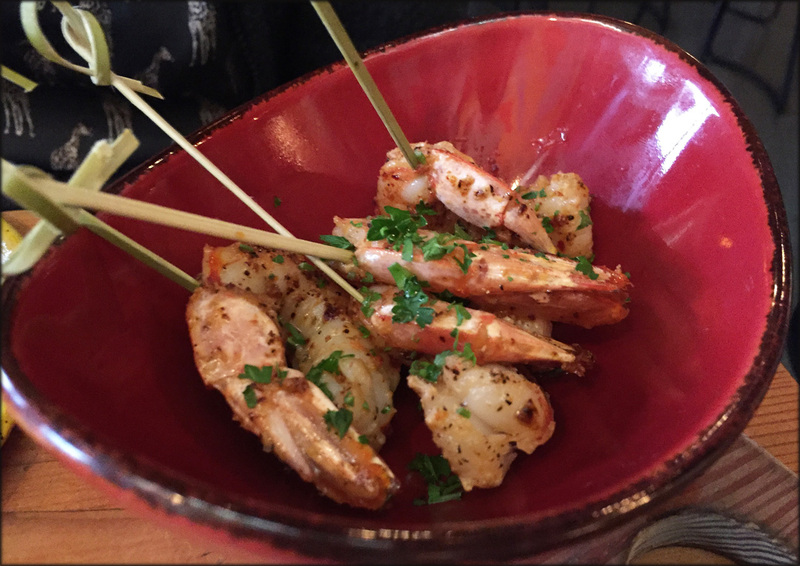 Another pincho style item we order were the prawns. 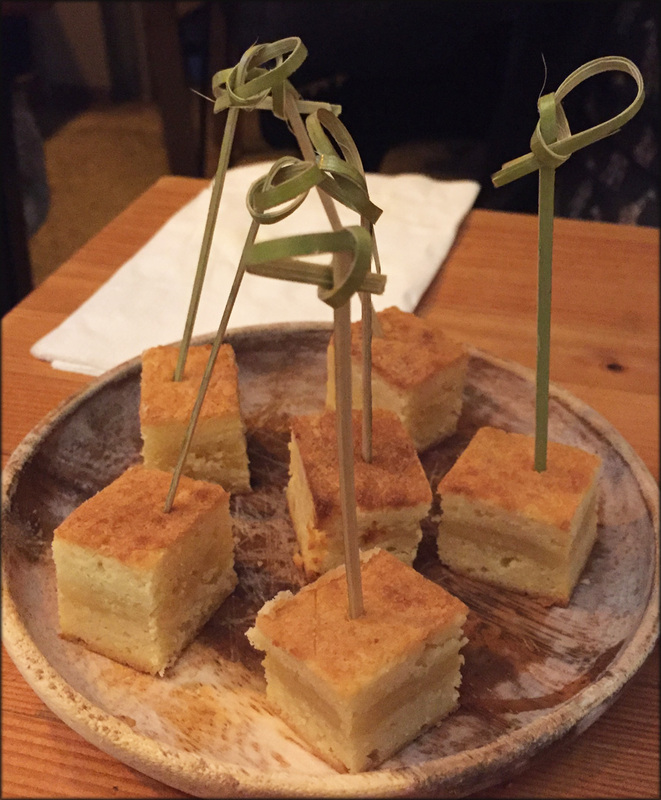 If you are wondering -Pincho style is basically small bites speared with a skewer/toothpick, making the item easier to eat with drinks. The prawns were plump and juicy. They had the perfect snappy texture, seasoned aggressively and garlicky. I enjoyed the bold flavour of this dish, but my sis thought it was a bit salty. Our last savoury dish was the beautifully tender, seasoned and pink lamb chops. The dish was best eaten when you combine the beans, fennel and meat into one bite. You appreciate the different textures and flavours playing off one another. For example, the citrus zest in the warm bean salad lightened the heavy gamey lamb. The beans were creamy and mushy but the fennel was a clean bite. This was a fun dish to savour. The rich smooth dark chocolate ganache was another study of interesting textures and flavours. The dessert is served with seasonal fruit and on that night it was plums. I wasn’t a fan of how the astringent taste of the plum skin clashed with the rich sweet chocolate. However, the same plum skin brought out the floral notes of the olive oil. 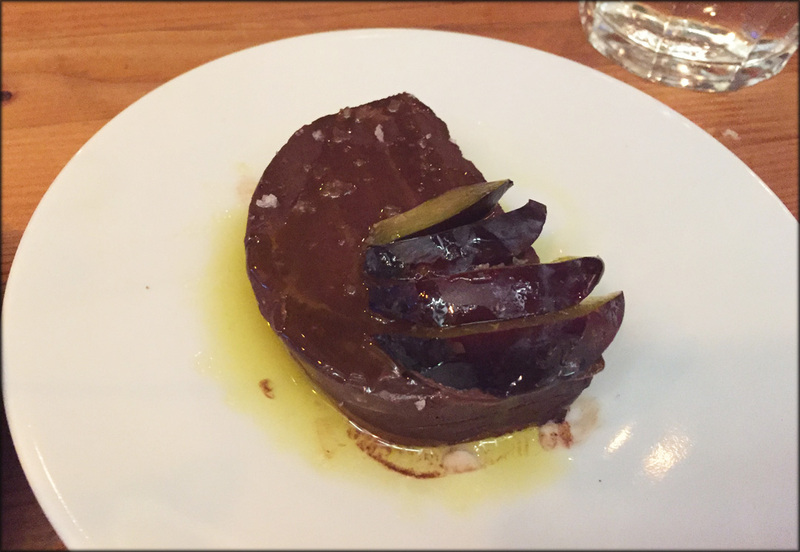 Speaking of the oil olive, it gave the dish an even silkier feel and help mute the bitterness of the dark chocolate. In Toronto, the Gateau Basque from Bar Isabel has been given many accolades. For me, it was a perfect ender to a great evening with family and friends. It was sweet, light and just represented everything that was right with that night’s amazing dinner. 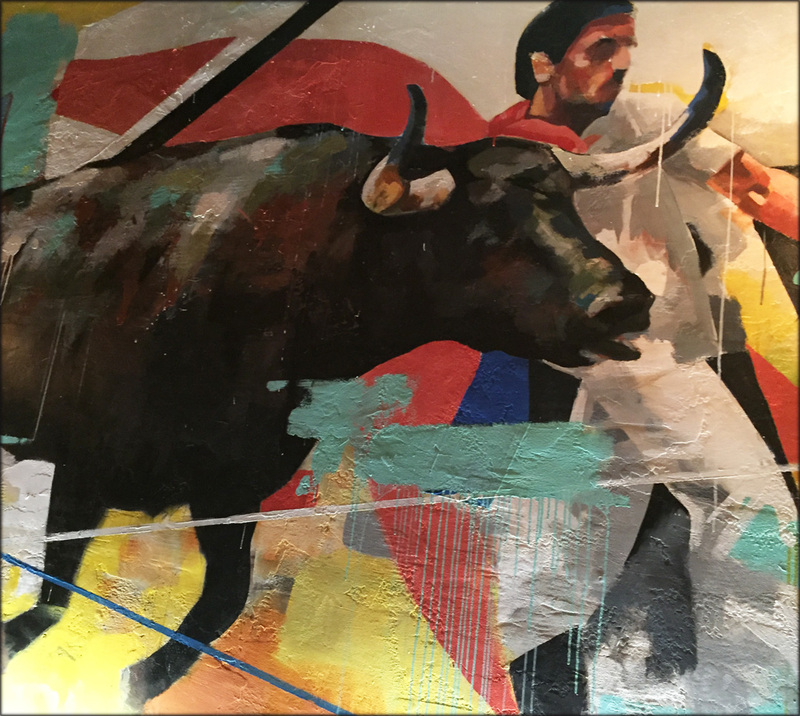 Served pincho style, Cabrito’s offering is sweet and homey. However the consistency of the cake was too dry and crumbly for my liking. Although not traditional, a key reason why Bar Isabel’s version is so good is the cake is drenched in a sherry cream, which helps moisten the dessert. Between the chocolate and cake, I would order the chocolate again but not the Gateau Basque. I just found the ganache more intriguing. Overall I really enjoyed the delicious food served at Cabrito. The food doesn’t appear overly complicated but there’s a lot going on in terms of flavours and textures. I will be coming back to Cabrito.